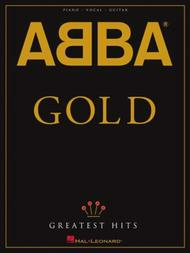 By ABBA. Piano/Vocal/Guitar Artist Songbook. Dance Pop and Pop Rock. Songbook. With vocal melody, piano accompaniment, lyrics, chord names, guitar chord diagrams and color photos. 87 pages. Published by Hal Leonard (HL.308233). 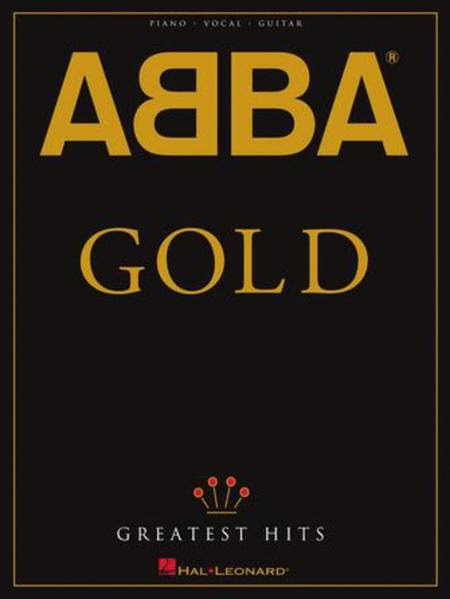 This is the matching folio to the 19-song retrospective of one of the most commercially successful bands of the 1970s, and one that continues to be a cultural icon through contemporary releases including the wildly popular Broadway musical Mamma Mia. This collection features: Chiquitita * Dancing Queen * Fernando * Gimme! Gimme! Gimme! (A Man After Midnight) * Knowing Me, Knowing You * Mamma Mia * Money, Money, Money * The Name of the Game * S.O.S. * Take a Chance on Me * Waterloo * The Winner Takes It All * and more.